Once every few weeks, our music-loving Isaac latches on to a new song, which he insists I download to my iPod so he can listen to it repeatedly at leisure. A couple of days – and 100-plus plays later – you will then typically find him wandering around the house singing the lyrics of said song to himself, or belting it out from the back seat of the car. Not that I’m saying Zac is a misfit – in fact, socially he seems absolutely normal for an almost three-year old – but as I have said in previous posts he has certainly shown signs of developing into a tech geek. He wields my various iDevices with an intuitive ease which belies his tender age, and he has also mastered the operational basics (stop, pause, rewind) of our Sky+ remote control. 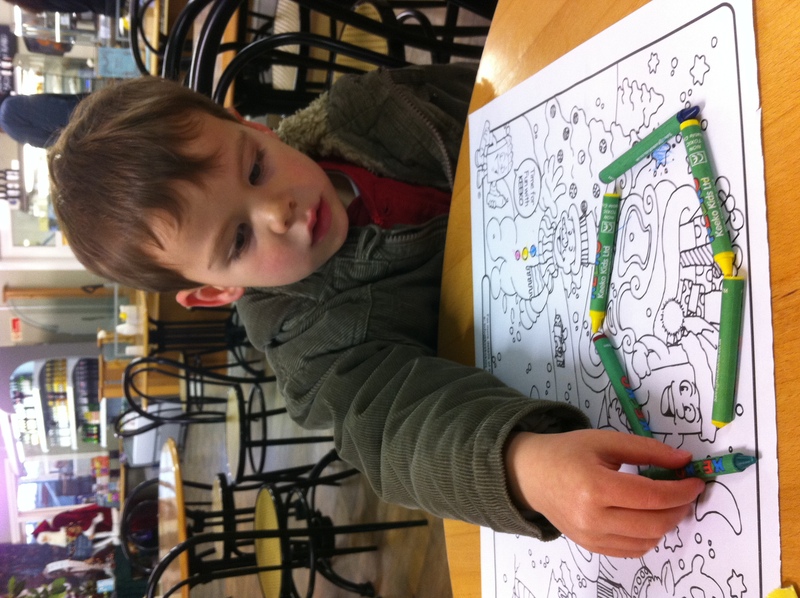 And while, like other kids, he will use crayons for drawing, colouring in and experimental interior decorating, only a geek would – completely unprompted and without assistance – take six crayons and declare “I’m building a hexagon” to his suitably impressed grandparents, as the photo below illustrates. So maybe he will turn out to be a geek. But he’s a happy geek. And as long as he stays that way, I will be delighted to be a happy geek’s geeky dad. My boys love Pink too! I feel like you do, that you have to keep one step ahead or the day will come when your inadequate knowledge will be exposed.